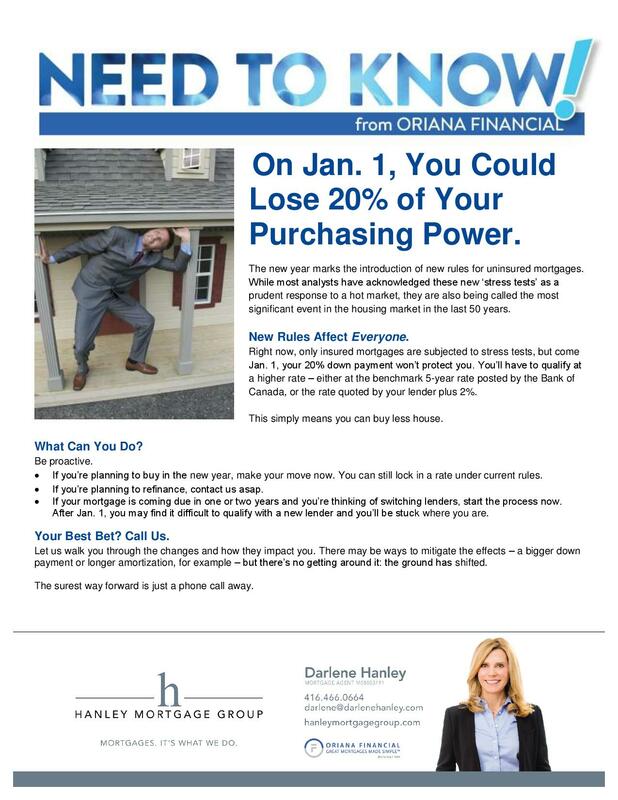 There are new stress test rules pending that will affect your purchasing power. Please read the following from a mortgage broker we know and trust. We strongly recommend speaking with your own mortgage broker, lender or financial advisor or you may contact Darlene Hanley, www.hanleymortgagegroup.com.